I can’t believe it has almost been a full year since we purchased our home! Last year we missed out on decorating for the holidays, but this year we swore we would do something to the house (especially since the boys are with us). 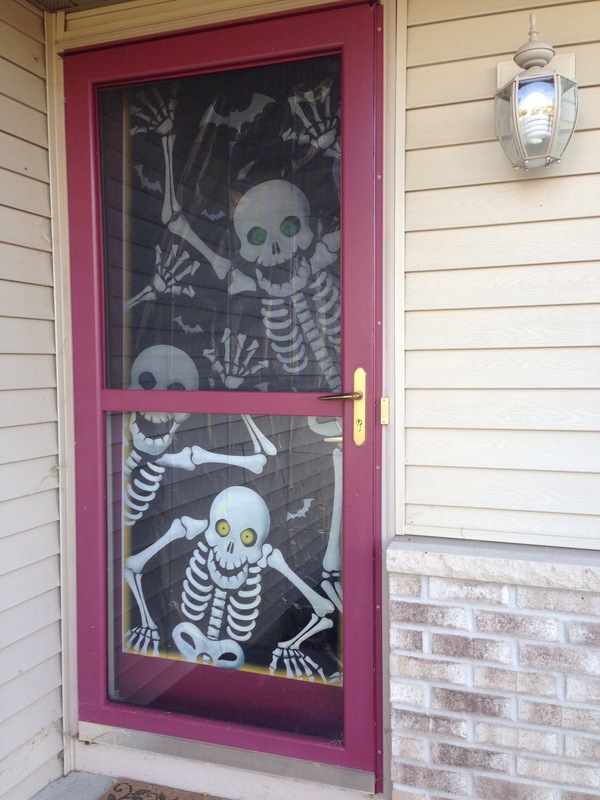 Our first step–a Halloween door cover! Hanging this decoration has really ramped up the excitement regarding Halloween. The boys can’t wait to get dressed up; one of them wants to be a vampire Superman (points for creativity). JB wants to get some pumpkins for carving. This is the first year in my entire life that I’ve lived in an area populated enough to get trick-or-treaters so I can’t wait to hand out candy and see all the costumes. I know this decoration isn’t much–it was $2 at Walgreens and only needed some clear tape and JB’s long arms to put it up. But it has made preparing for our first holiday as a family of five even more fun!